Brevard County Sheriff’s Office is proud to support many non-profits in Brevard County. 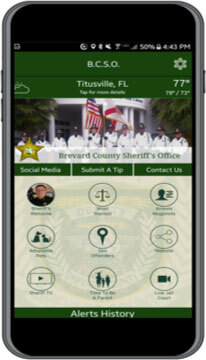 The Brevard County Public Safety Charity (BCPSC) is a newly formed not-for-profit organization that was created to help Brevard County Public Safety Officers and their families during difficult hardships. The organization works with community leaders, businesses and citizens to raise funds to help our law enforcement officers and firefighters in their time of need. These funds will help our public safety members when they face critical challenges such as medical emergencies, long term illness or even the tragedy of a line of duty death. This charity organization is designed to help protect those that protect us. The organization is facilitated solely through volunteers and provides financial assistance to distressed public safety officers or their family. For additional information, please contact Lindsey Deaton. The Sheriff’s Pet Posse will provide support to the Animal Shelters of the Brevard County Sheriff’s Office. Support provided is for care and medical treatment of animals including food, spay/neuter, medications, wellness, vaccinations and facility improvements. We will support enrichment programs for both the animals, staff, volunteers and the public. The enrichment programs will be focused on behavior, stress management, and obedience training for the animals. Pet Posse will support educating the public on the importance of vaccinations and spay/neutering their pets. For additional information, please contact please contact Lindsey Deaton. Monetary donations can be made at either BCSO Animal Services Shelter or online. 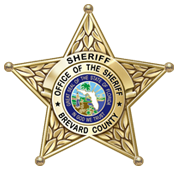 The Brevard County Sheriff’s Office Police Athletic league is a non-profit organization established in 1998. Over the years PAL has reached many children through various programs. PAL provides athletic and mentoring activities to youth ages 6-18 years of age. With the support of the Sheriff’s Office, the PAL program provides a means to bridge the gap between law enforcement officers and the youth. Sheriff’s Deputies provide positive role models for many students. By building self-esteem and character of today’s youth, we hope to create a sound foundation for the future of Brevard County. The Sheriff’s PAL promotes a drug and alcohol free lifestyle, good citizenship and character, community service hours for students and physical and mental successfulness through athletic programs. There are many exciting athletic programs being offered through PAL.